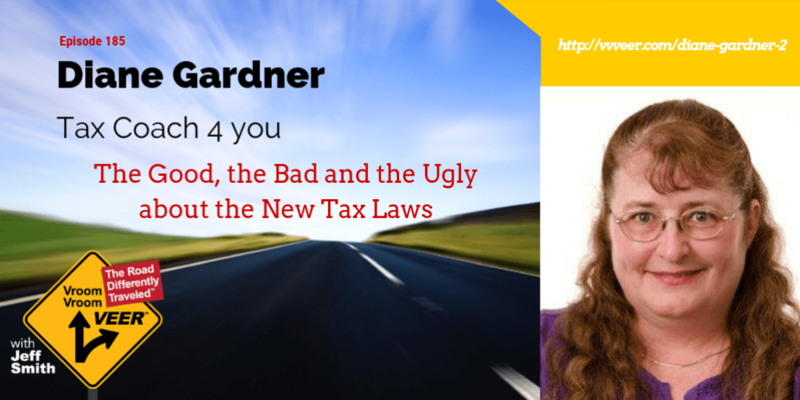 Diane Gardner is guest starred on the Vroom Vroom Veer Podcast with show host Jeff Smith. Good: Some States are trying to work out a charitable contribution credit for the money that’s paid in for taxes. Congress is not happy with that. Good: I have a sole proprietorship, that makes me a pass through business, What’s new with pass-through business treatment? Ugly: meals in? and entertainment out? Mixed: Standard deduction was raised, most folks won’t itemize. Good: Families with younger children; Congress doubled the child tax credit. 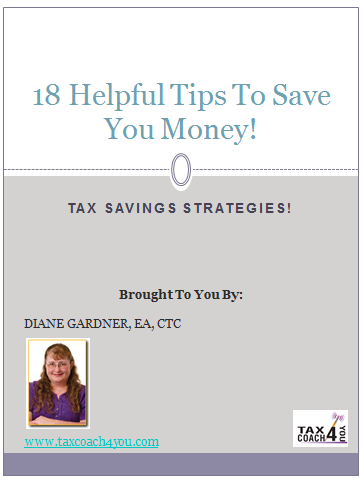 Explain the difference between a tax deduction and a tax credit? Good: We have a new family tax credit for people taking care of elderly parents or other adults. Good: Wonderful score in the business world under depreciation.